The astonishing results for this woman shows that the ProLon 5-day diet may be the best solution for sustainable weight loss and healthy living. More and more positive claims about fasting are getting backed by scientific studies—emphasizing not only its weight loss benefits but its effect on health and longevity. A recent study on a five-day fasting diet, for instance, revealed that controlled eating for just five consecutive days a month can help improve many health markers such as cholesterol, inflammation, and glucose levels. “There really are numerous benefits to undergoing fasting,” says BioBalance’s Dr. Stanley Chua, a Health Optimization Medicine and Certified Functional Medicine practitioner. “When you restrict your calorie consumption or eating hours for three to five days straight in a month, your body goes on a protectionist and rejuvenation mode, allowing you to lose weight and achieve healthy aging.” Celebrities like Ben Affleck, Liv Tyler, Chris Martin, Beyonce and Hugh Jackman have all been reported to practice some form of fasting. As more people have been discovering ProLon FMD, personal testimonials from those who have tried it are proof that it is indeed a sound and scientific health habit every adult could consider. Noc Ypil was desperate to lose weight and live a healthier life. 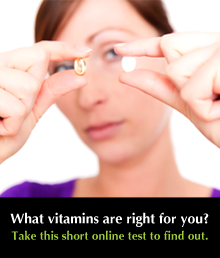 She is a director at a pharmaceutical company and a mom of four. She keeps a busy life both at home and at work.“I figured my metabolism was not as fast as when I was younger and I get aches and pains here and there, regardless of the amount of time I spent at the gym or my cut down on food intake,” she says. ProLon, after all, is an all-natural, plant-based diet. It works by allowing the body to go into “fasting mode” while still ingesting highly nutritious meals. It has three main meals and two snacks every day—soups, bars, crackers—which one only needs to consume for five consecutive days in a month, to reap the same health benefits as periodic fasting. On the rest of the month’s remaining 25 days, no lifestyle change is imposed, allowing one to carry on with regular activities. “Through In-Body tests (body composition analysis) at BioBalance, I saw the readings of my visceral fat, BMI, skeletal mass, etc. I told myself I had to do something quick or else I’d regret it after,” Noc relates. “I already lost a total of 20 pounds since I started on ProLon 7 months ago, and I think my formula of ProLon plus exercise plus diet really works for me and is a very wise health investment. 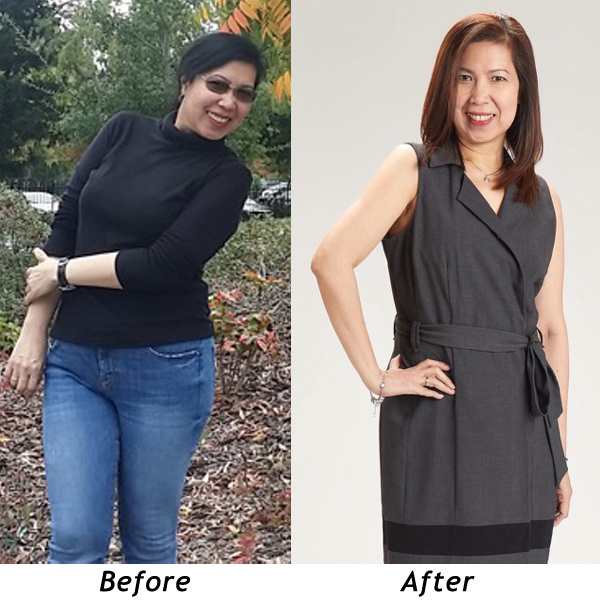 I like the positive feedback I still receive from friends and acquaintances who tell me I look not just slimmer but also younger,” she gushes. “I like the feeling of being light and able to carry myself after I’ve gone down two clothing sizes smaller. Under the five-day program, Noc’s meals ran a daily caloric intake of 770 to 1,100 calories—with a menu that included, for instance, crackers and olives for snacks and hearty minestrone soup for lunch or dinner. “I liked that the food tasted good, considering that I was supposedly on a diet,” she says. One of the best reasons to go undergo ProLon with BioBalance is the how its doctors and nutritionists help and guide clients through their journey to health. “The nutrition counseling helped a lot for me to keep the momentum going. I liked that I was not deprived to eat what I wanted after the five-day meal program, as it taught me to manage my proportions of veggies, meat, fat, carbs, etc. to continue losing weight or maintain what I’ve lost,” Noc adds. ProLon has been featured in TIME, Newsweek, CNN, US Forbes, WallStreet, New York Times, and Dr. Oz. Now in the Philippines through BioBalance, the ProLon Fasting Mimicking Diet is becoming more and more popular among celebrities, health buffs, and lifestyle personalities as the healthier and more sustainable diet for different lifestyles.